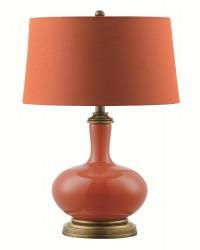 This casual table lamp will add a touch of color and retro style into any living space. An antique bronze base perfectly accents each of the three available colors- sky blue, orange, and red- for a bold pop of visual interest. The fabric shade in a coordinating color softens the light from the three-way switch which allows you to control the mood in any room. 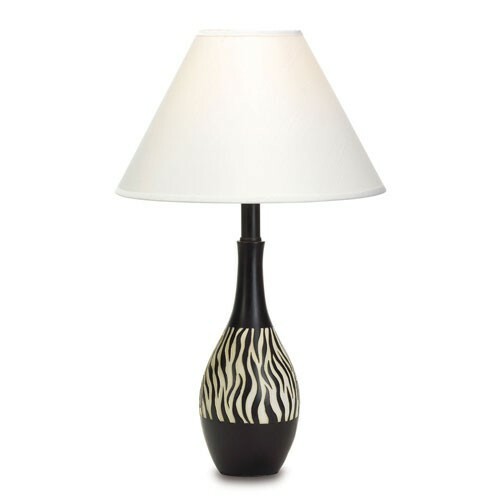 Searching for a light source that will simultaneously add style to your space? 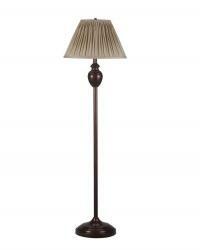 Look no further than this assortment of table lamps in a variety of shapes, styles and finishes. 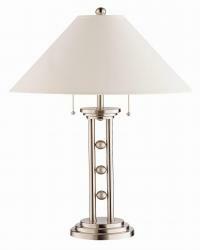 Each table lamp boasts a unique and distinctive style that is sure to earn it a place in your bedroom, living room or office. Contemporary, traditional and casual styles are all represented in this versatile collection of table lamps, making it easy to select the one that suits your personal style. Simply place atop your night stand, occasional table or desk!